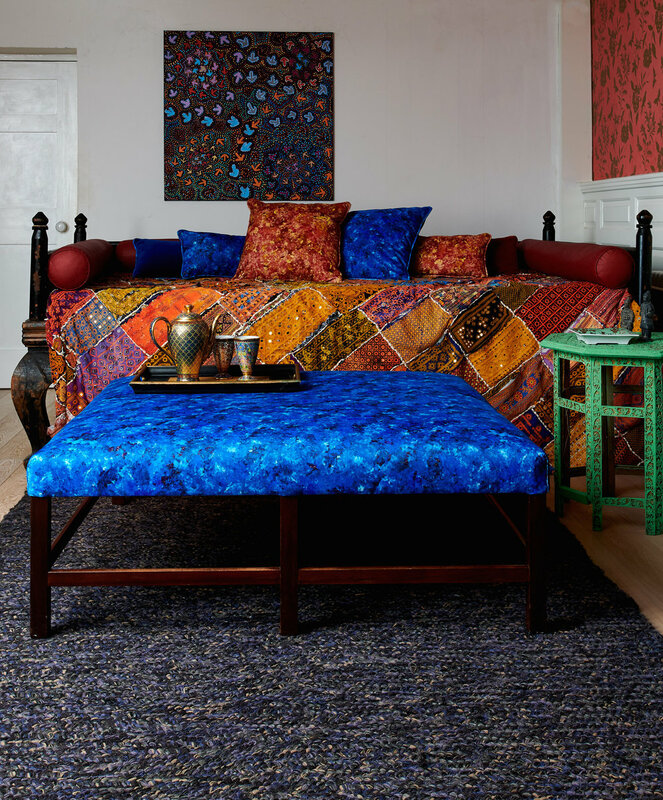 Following our Decorex International 2018 debut Bay Gallery Home collaborated with Dudgeon Sofas using our ‘My Country’ Ruth Blue velvet to upholster one of their signature ottomans. Dudgeon, a family run business have been making hand-made top quality upholstered furniture since 1947. The Ruth Blue velvet ottoman is currently a key piece in their Fulham showroom so please contact Dudgeon Sofas www.dudgeonsofas.com or www.baygalleryhome.com with any queries regarding this piece or bespoke work using our fabrics.